I was going through my make-up drawers today and looking for products that I like but don't use as much as I should. 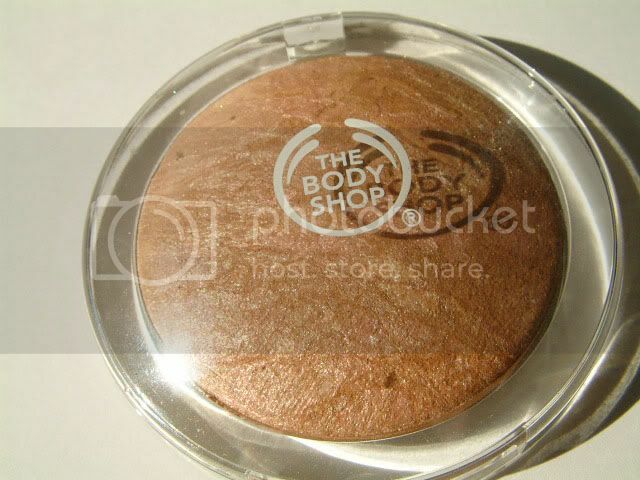 I bought this bronzer from The Body Shop earlier this year when it was either on offer or I had a voucher of some kind, because it would have been too pricey for me to take a chance on for full price (£16). It's a handmade 'baked' bronzer with intertwined swirls of rich brown, a baby/ coral pink and a creamy gold, combined with plenty of shimmer. Probably a bit too much shimmer than I usually go for but when used with a light hand, it gives skin a lovely subtle (and as the name suggests) 'warm glow' that is great for perking up dull looking winter skin. You can use it as a general all over bronzer (though I find it too shimmery for this purpose), a blush (looks good! especially if you're not too big a fan of pinks) and as a highlighter which works the best IMO. Wear time is OK, it'll last for a few hours before disappearing so certainly doesn't live up to its '8 hours' claim at all. I think its expensive at full prize for what it is, but would recommend picking it up if its on offer and you're after a nice highlighter that looks pretty and will last you a long, long time (this thing is huge!). 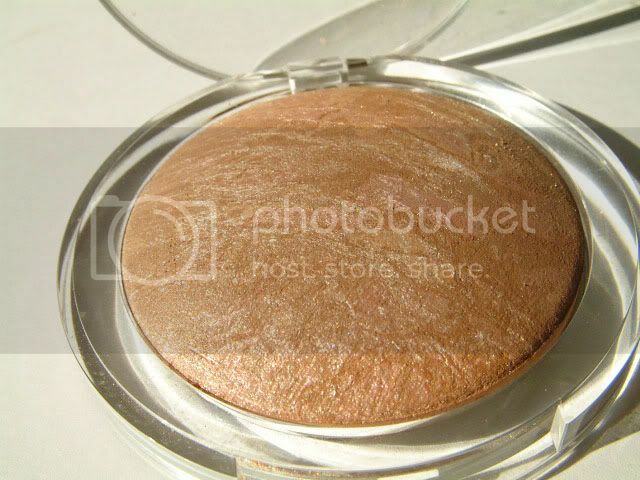 Do you wear bronzers in Winter or are they purely a Summer item for your make-up bag? It's very pretty(especially as a highlighter!) but wayy too expensive full price. 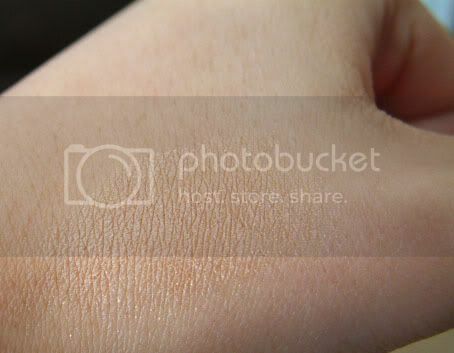 i don't tend to wear bronzer in Winter, i'm so pale that it just looks silly! @Zoe - agreed, something to look out for when it's on special offer I think!